As a small business owners, you know that our world is rapidly growing and moving towards a more tech experience in all levels. When I first started my business Twitter was 3 years old and the people I followed were still trying to figure it out. I am very lucky that I am able to run my business from anywhere in the world. 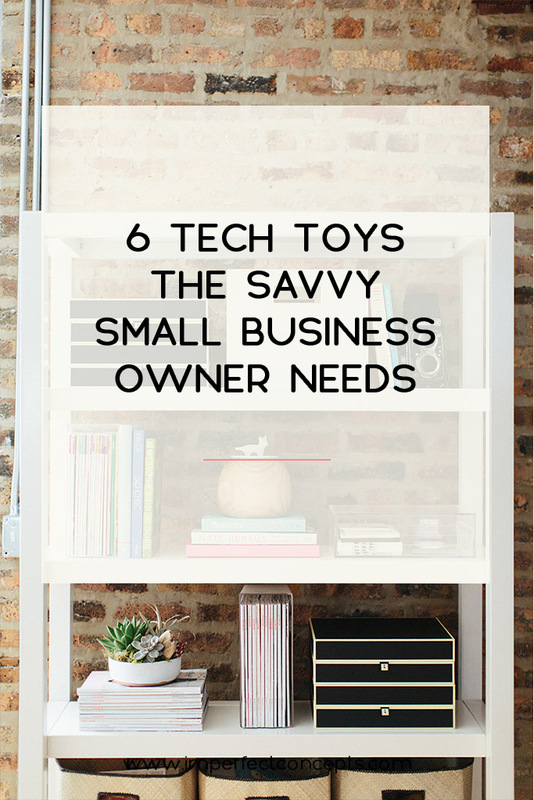 Today, I want to share some tech toy options for the savvy business owner. Being that I am a consultant full time and a business writer for this blog, I am able to work from my home, Panera, Coffee shop or even a beach if I wanted to. When I first started my business I had a macbook pro that I got at the end of my senior of college. After, having that for awhile someone took it upon themselves to steal it. My ex boyfriend loaned me a 2007 heavy macbook pro I was thankful for. It died on me two years ago, that is when I upgraded to a Macbook Air. Let me say, don’t feel to go obtain debt so you can have a fancy Instagram picture with a macbook air in it. There are great options such as; Dell Inspiron 11″ and HP Stream 11.6″ are two great options under $500 that get the job down. This might seem really silly but having a great phone can knock some of these items off the list. I have personally been team iPhone since they came out June 2007. I am able to take photos, create graphics in apps, email, book meetings, take payments and even work on my website. Right now, I have an iPhone 6s that helps me do everything I need to do. No matter if you’re team iPhone or android find one that works for you and your business needs. Especially, apps that help you run your business smoothly. For a very long time my iPad mini was my best friend. Another reason for this was because I had an iPhone 5s before finally upgrading to my 6s. I love how small my iPad mini is because I can carry it in my clutch for when I am on the go. I suggest to all my clients they purchase a tablet especially if they are doing vending events, pop up shops or trunk shows. Instead of, handing over their phones when a customer needs to pay they can utilize their tablets. There are several options on the market such as; iPad mini or Samsung Galaxy Tab. Funny story, when I owned my online resale boutique for the longest I was using a very simple digital camera. Always, remember you do not have to go broke launching your business. Utilize the tools you have now and upgrade later. My simple digital camera that could fit in my back pocket got stuff done. Now, that I am a small business consultant and shooting youtube videos I have upgraded to a DLSR camera. In upcoming months, I might start vlogging on my Youtube Channel so I will be buying a smaller style camera. If you are looking for a great camera these are some great options; Canon rebel t5i or Sony Alpha a5100. I will forever tell my clients to always have product on you because you just never know who will be a customer. There might be a customer wanting that necklace you have on right now in line at starbucks. If you know you will be out and about rocking a particular item from your store why not keep it in your bag. Then when someone wants to purchase it, verses sending them to your site you can pull your payment reader out and hand them that shirt, hat, lipgloss, necklace or even wallet. Its always about being ready verse having to get ready. I am always on one one of my devices which means they are going to die pretty soon. Owning portable chargers for your camera, tablet, or phone is something I always have. There is one in my work bag, purse and then in my car. I refuse to let one of my devices die because thats when you need it the most. These six tech toys can help you as a savvy business owners always be ready to succeed no matter where you are. Invest in what you need but know if you have a later version thats okay too, just make it work for you.